With varied opportunities and options in the education and vocational curriculum these days, and the need of new and advanced professional courses providing a plethora of opportunities is a requisite at present time. The IT aspirants of today represents a prosperous society of keen as well as indulged students who have the capacity to set off new landmarks in all the areas pertaining to business, today’s information technology and the others as well. Therefore for the benefit of students and professionals who are keen, passionate as well as enthusiastic about latest and innovative technologies in the world of applications that has introduced the all new advanced WordPress training courses that are simple to use in booming countries like India. WordPress is a popular and widely used CMS (Content Management System). Most of the medium and small enterprises use WordPress to create their official websites and some of the large scale enterprises also use WordPress for blogging. These days WordPress is also used a major blogging platform in the world. Whether you know what to do, but what whether you do not know where to begin with your WordPress website or blog? This is where and the reason, the benefit of taking WordPress training really comes in. 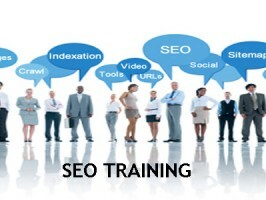 A professional training can give you chance to learn the basic to advanced concept of WordPress. Often a little hour of training is all you will need. The majority of students at first learn the common training which is need for basic WordPress tutoring. This basic WordPress learning taught the foundation of all your WordPress activities. Whether you do not know the difference between WordPress pose and page then this basic WordPress Training is for you. Creating as well as amending post of content on a WordPress blog or WordPress website is really fun and simple. If you want to change the widgets and settings area of the CMS and know the role of short codes then you must take this intermediate WordPress training, it is bit more advanced type of training. This advanced WordPress training is very much suitable to those designers and developers who want to know the CMS design and development and want to get the fair working knowledge. This WordPress training will develop the activities of understanding on how WordPress handles the images as well as videos and securing the WordPress website against the hackers. Whether you wish to create plugins or themes and want to understand more advanced set up of WordPress CMS then this developer WordPress training is for you. This advanced developer training is aimed to teach the A-Z of WordPress. Choosing the right institute and trainer is critical. Sometimes, WordPress trainers understand the content of the course well enough but do not even have the background knowledge to really add some additional value to the students learning, most of the institute offers only online or offline course, but you need to see if an institute offers online and offline mode of learning or not, because if you require in future. A professional and experienced WordPress training can make you expert in this CMS.